Virgin Media Business has signed a five-year deal with Three to help support the rollout of 4G, only days after a similar deal Three made with EE. The partnership will result in Virgin upgrading Three's backhaul services through its fibre optic network. 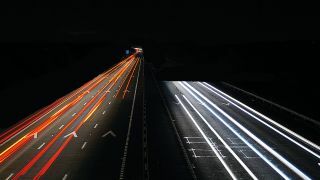 The investment will provide better connections between Three's 15 aggregation sites, three core data centres in the UK, and Three and EE's recently unveiled shared network. The upgrade will increase Three's network capacity by 300Gb and is part of Three's attempts to future-proof its 4G offering, which it has promised to give for free to existing 3G customers. "With the new high-capacity backhaul network from Virgin Media Business we are ready to welcome even more people to the Three family," said Bryn Jones, Chief Technical Officer at Three. "Regardless of where they are, now all of our customers will receive the best possible experiences when using 4G." The exact financial transaction has not been disclosed, but it is said to be a "multi-million pound" affair. The move follows a recent network-sharing deal between 4G market leader EE and Three, which will see the duo increasing 4G investment over the next few years.